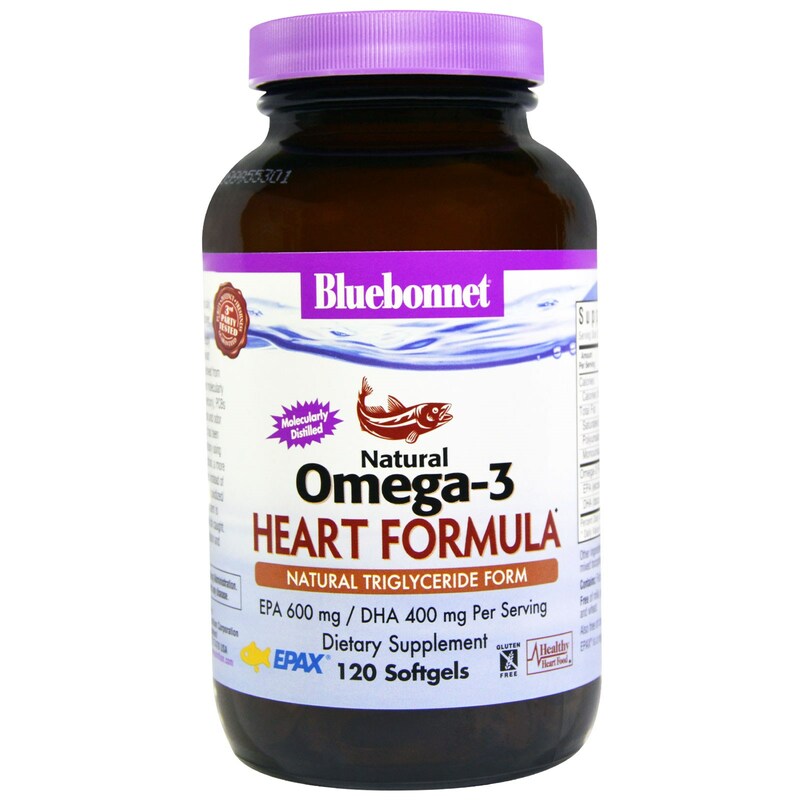 Bluebonnet's Natural Omega-3 Heart Formula Softgels supply EPA and DHA in a relatively balanced ratio scientifically relevant for maintaining cardiovascular health. The fish oil used is derived from deep sea, cold water fish off the coast of Peru that has been molecularly distilled, which virtually eliminates all heavy metals (e.g., mercury), PCBs and other contaminants, as well as the unpleasant fishy taste and odor typically associated with marine fish oils. 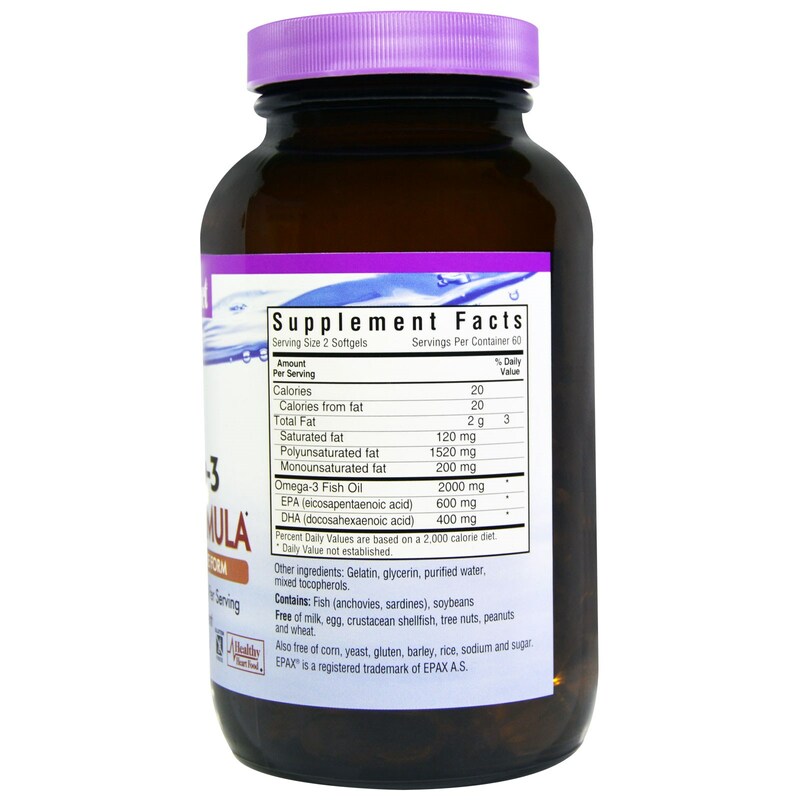 Plus, this product has been 3rd party tested by an independent, cGMP-registered laboratory using AOAC international protocols for purity and potency. In addition, a more bioavailable/stable natural triglyceride form of fish oil is used instead of the common synthetic ethyl ester form, which often becomes oxidized/rancid. To ensure sustainability, an unrivaled surveillance system is employed to control minimum size and number of juvenile fish caught. Available in easy-to-swallow softgels for maximum assimilation and absorption.